Errant and negligent motorists who flagrantly disregard road rules will have to contend with hefty traffic penalties when the new standard scale of fines, which prescribe a maximum penalty of $700 and imprisonment, becomes operational on Tuesday. Road traffic offences are currently classified under levels 1 to 3 of the standard scale of fines and attract a maximum fine of $30. However, under new revenue measures announced in the 2019 National Budget, most of which become operational this week, the fines are now placed in levels eight to 10. Parliament approved the Finance Bill on 20 December. It now awaits approval by Senate when it resumes sitting next year. Justice, Legal and Parliamentary Affairs Minister Ziyambi Ziyambi said last week although the Budget has not been approved by the Upper House, the measures contained therein will become operational on the prescribed dates since the Finance Bill was unique. "The Finance Bill is a different kind of Bill compared to others that come to Parliament. Certain processes do not apply to it," said Minister Ziyambi. "That is why you find even the measures set by the Minister of Finance (and Economic Development) that are effective midnight on the day he presented the budget, automatically become effective. "All those measures that are effective on January 1 2019 will come to effect. "Also note that the Finance Bill sailed through in the National Assembly, and if we look at the Constitution and other rules of Parliament with regard the Finance Bill, Senate cannot reject it or amend it. "What they can simply do is refer back to the Lower House. So, effectively, all proposals in the budget are allowed and they take effect." The country's roads are increasingly becoming death traps as fatalities from traffic accidents have progressively risen since the beginning of the year, something the Traffic Safety Council of Zimbabwe (TSCZ) blames on errors of commission and omission by motorists. Traffic accidents during last week's Christmas holidays claimed 12 lives - an increase from the nine people that were killed during the same period last year - and injured 63 others. Worryingly, all the 122 accidents that were recorded during the period were blamed on human error. TSCZ spokesperson Mr Tatenda Chinoda cheered Treasury's intervention, describing it as "a step in the right direction". "The increased fines are among a raft of measures to deal with traffic offenders and curb road accidents. "Punitive fines are a step in the right direction and as the Traffic Safety Council of Zimbabwe we are fully in support. "High traffic fines are in line with international best practice on road traffic safety enforcement." 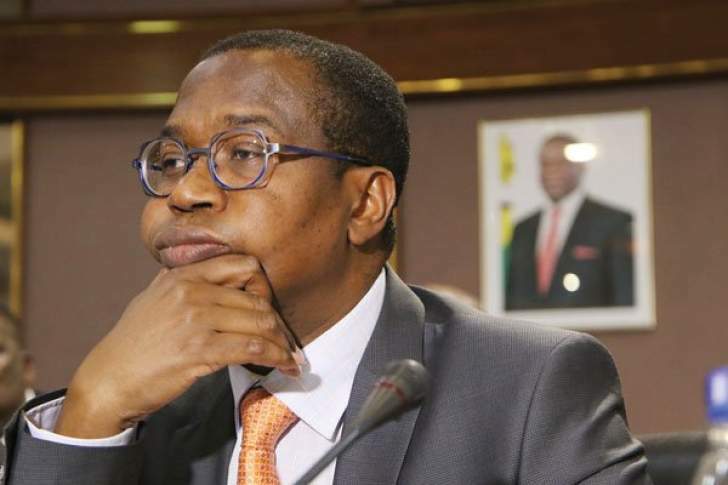 In his maiden budget speech on November 22, Finance and Economic Development Minister Professor Mthuli Ncube said the carnage on the country's roads are "a result of human error arising from failure to observe road traffic regulations". "The most common offences committed include proceeding against a red robot, overtaking over solid line, in particular, at robots, encroaching onto oncoming traffic to avoid congestion, dropping passengers at undesignated points, driving without head or side lights, cutting corners when turning right and failing to stop when instructed to do so by the police, among others," he said. The proposed traffic fines are part of broader revenue measures that will kick-in on Tuesday. Notably, the 42-day moratorium on payment of motor vehicle import duty in foreign currency - which caters for persons seeking exemption for vehicles imported on or before 22 November - will also expire this week. It is understood that the biometric registration exercise for Government employees, meant to weed out ghost workers, gets impetus this week, while a 5 percent cut on remuneration of senior civil servants and parastatal bosses also comes into effect. Further, there are tax relief measures for employees as the tax-free threshold will rise from $300 to $350, while the maximum tax rate will come down to 45 percent from 50 percent. Government has also extended duty-free importation of fertilised chicken eggs as a measure to cushion the poultry sector that lost over 180 000 breeding hens to Avian Influenza last year. There is also a facility for the import of 100 public service buses with a sitting capacity of 60 passengers at 5 percent duty. The 2019 Budget was presented under the theme: "Austerity for Prosperity".